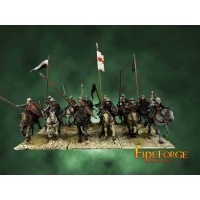 The box contains: - 12x 28mm multi-part plastic miniatures - 6x 50x50 base .. 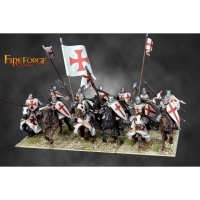 The box contains: - 12x 28mm multi-part plastic Templar Knights - 6x 50x50mm.. 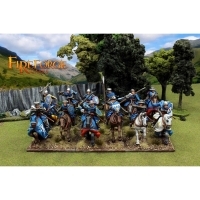 The box contains: - 12x 28mm multi-part plastic Mounted Sergeants - 6x 50x50.. 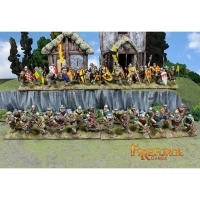 The box contains: - 48x 28mm multi-part plastic Foot Sergeants - 8x 60x40mm .. 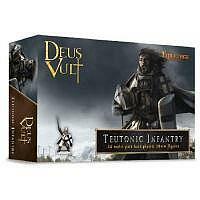 The box contains: - 24x 28mm multi-part plastic Teutonic Infantry - 4x 60x40.. 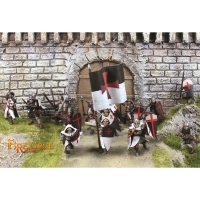 The box contains: - 24x 28mm multi-part plastic Templar Infantry - 4x 60x40m.. 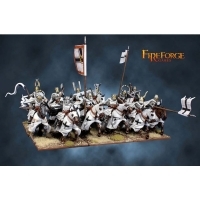 The box contains: - 12x 28mm multi-part plastic mounted Sergeant at Arms - 3.. 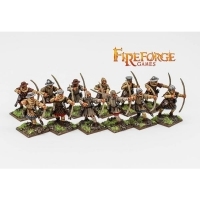 The Box contains: - 24x 28mm multi-part plastic Medieval Archers - 4x 40mm x..